The Institute for Behavioral Health Care (IBHI) launched a free Webinar Series focusing on Innovation and Re-Design of Care Systems in January, 2011. The first three part series on care of behavioral healthcare clients in Hospital Emergency Departments was successfully concluded on February 9, 2011. For more information, click here. IBHI finished its second three-part webinar series on Innovations and Re-Design of Systems of Care. Details on each webinar are listed below. 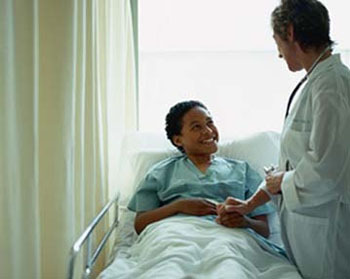 March 23, 2011 – Rethinking the Patient’s visit to the Emergency Department ED – A Conversation on Learning to Avoid Unnecessary Care; Roger Resar MD IHI, Peter Brown IBHI. How can we understand and redesign the system of care to avoid some current Emergency Department visits by people with behavioral health problems? Approaches and ideas to test from recent IHI, IBHI and other collaborative learning will be shared, as well as, time for dialogue. Roger Resar, MD, Senior Fellow, Institute for Healthcare Improvement, is a trained pulmonologist and critical care physician. Prior to becoming a physician change agent he practiced for 20 years at Luther Midelfort–Mayo Health System and also served as an Assistant Professor of Medicine at the Mayo Clinic School of Medicine. Dr.Resar has worked with IHI redesign efforts, helping to design change concepts, testing in prototype sites, and acting as faculty for several Collaboratives including one on avoiding ED Visits. Peter Brown is Executive Director and co-founder of the Institute for Behavioral Healthcare Improvement (IBHI). He previously served a Deputy Commissioner of the New York State Office of Mental Health. He has also served as Director or Faculty on several IHI and IBHI Collaboratives. Click here for the slides from this webinar. April 6, 2011 – Using Peer Counselors in the ED to improve Patient and Staff experience – Steve Miccio, Executive Director, People, Inc. Steve Miccio and his organization are devoted to assuring that the patient and family’s voice is effectively heard and recognized by the behavioral healthcare system. He will share innovations in the use of peer counselors to make ED care more effective, hospital diversion programs and ways to sustain relationships to avoid acute care. April 20, 2011, 3:00 PM – 4:00 PM EDT – Adapting and Implementing New Strategies for Patient Centered Care – Transforming Care where we meet our clients in Behavioral Health, Alden (Joe) Doolittle and Julie Kelly, MSW, MPH Program Chief, Mental Heath Psychiatry Contra Costa Regional Medical Center, Martinez, CA. A multi-faceted method, involving QI, Re-design, “lean” methods and successful approaches to engage front-line staff to make and hold major improvements in care will be reviewed. A case study from the Contra Costa Medical Center, in Northern California will be described involving major system re-design within the hospital and with community resources. Opportunities to apply the approach in collaborative learning. Alden (Joe) Doolittle is Co-Director of IBHI, and brings solid experience in Quality Management and Consulting to his role. He was the Improvement Advisor for IBHI’s recent Emergency Room Collaborative. Julie Kelly, MSW, MPH, and was a 2010 NAPH Fellow. Click here for the slides from this webinar. Hold the Date: Our third webinar series, Innovation and Re-Design to More Fully Integrate Primary Care and Behavioral Health, begins May 25, 2011. © 2011 IBHI : Institute for Behavioral Healthcare Improvement. All Rights Reserved.